Experience the crystal clear signal quality that digital radio can provide by using this compact hi-fi component style DAB+/FM tuner. 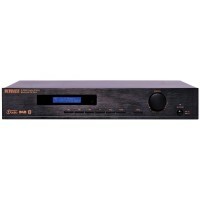 It is an ideal replacement for your non DAB+ analogue hi-fi or home theatre receiver. Features wireless Bluetooth audio streaming. A combination DAB+ digital radio receiver and streaming wireless internet radio. Access over 14,000 internet radio stations & podcasts from around the world, sorted by country and genre. This standalone device requires only an internet connection (no computer required). The Wintal DAB17C is an internet radio with both DAB and FM. 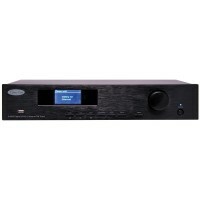 This exceptional unit features UPnP/DLNA music streaming and wireless connection to your home internet. This radio can be conveniently controlled by the supplied remote control. The Panorama BT delivers a 7W RMS class-D digital amplifier for outstanding sound reproduction, with an array of input modes, including Bluetooth wireless audio streaming, crystal clear DAB+, FM Radio, Internet Radio, wireless or wired DLNA music streaming.